Cancer is a disease associated with the growth of abnormal cells which divide and develop uncontrollably. The development of abnormal cells in the body infiltrates the normal tissues of the body. Cancer is a collection of related diseases which has the inbuilt capability of traversing throughout the body using blood and lymph systems. Leukaemia: Leukemia originates in blood-forming tissue including bone marrow. This kind of cancer develops when healthy body tissues start transforming and growing uncontrollably. The four major forms of leukaemia are acute lymphocytic leukaemia, chronic lymphocytic leukaemia, acute myeloid leukaemia, and chronic myeloid leukaemia. Carcinoma: Carcinoma is the most common kind of cancer. It originates in the skin, body tissues or tissues of internal organs of the human body. This kind of cancer usually forms solid tumours. Sarcoma: This kind of Cancer originates in the tissue which connects and supports the body. Sarcoma develops in blood vessels, fat, bone, cartilage, muscle, lymph vessels or any other connective or supportive tissue, in cells outside the bone marrow. Myeloma and Lymphoma: This category of Cancer originates from the cells of the immune system. Blastoma: This category of Cancer is most common in children. Blastoma is derived from embryonic tissue or immature “predecessor” cells. Germ cell tumour: Germ cell tumour is derived from pluripotent cells which are usually present in the ovary or the testicle. The DNA of cell stores a set of instructions which accounts for the growth and division of the cell. Any disruption to the DNA can create cancer cells. DNA is also responsible for making corrections for the errors occurred in cell’s DNA. A mutation in DNA repair gene restricts the repairing which leads to the development of cancerous cells. Tumour suppressor genes allow the adequate number of normal cells to develop and instruct the cells when to stop developing. 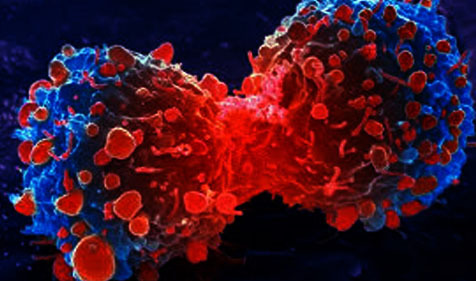 A change in the tumour suppressor genes causes uncontrolled growth of cancer cells. What causes gene mutation to occur? Gene mutation can be inherited from parents or can also arise during a lifetime. The inherited gene mutation is responsible for very minimal percentage of cancers. Most of the gene mutations occur after birth due to several reasons such as cancer-causing chemicals (carcinogens), radiation, hormones, viruses, obesity, chronic inflammation, smoking and a lack of exercise. One or more gene mutations come together to develop cancer. Alterations in the existing moles or differences in bowel or bladder habits. In most of the cases, those who are suffering from Cancer do not experience its symptoms. Cancer is often diagnosed while examining another medical situation. The cancer screening tests are colonoscopy, mammography, and a Pap test. An additional test called a biopsy is the only method to make a definite diagnosis which involves the removal of a small amount of tissue for testing purpose. Cancer treatment depends on the type and stage of cancer. Patient’s health also plays a crucial role in deciding the type of treatment. The options for Cancer treatment include Surgery, Radiation or Hormone therapy, Chemotherapy, Biological therapy and stem cell transplant. Strict post-therapy care is also required after the therapy. The aftercare involves few physical exams like periodic endoscopy, imaging procedures, and blood tests. India is emerging as a new medical hub in the world. Hence, it is often the most preferred choice for medical tourists seeking affordable cancer treatment. There are many super speciality hospitals for cancer treatment in India that are equipped with advanced technology expert doctors offering affordable treatments and hospitality at a very low price. 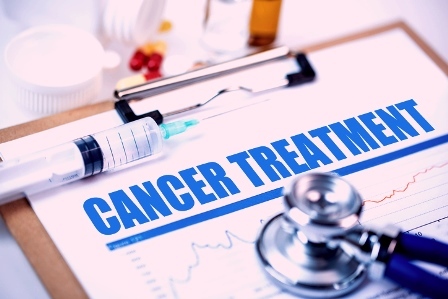 The cost of cancer treatment in India is very low in comparison with some of the developed nations without compromising on the quality of the treatment. Some of the best cancer hospitals in India with trained doctors and exceptional technology include Tata memorial hospital, Mumbai, Adyar Cancer Hospital, Chennai, Max Institute of Oncology, Delhi, Regional Cancer Center, Trivandrum, and CMC Vellore among others.